Recently I wrote about tea in this column. The history of tea, teas connection with commerce and rebellion, the refreshing nature of tea, and how popular it is in the world. But tea is just one drink that has a long and fascinating history. People all over the world indulge in coffee; egg coffee, made with cheese and egg in Vietnam, or the Finnish coffee made with chunks of cheese at the bottom of the cup, the French café au lait, and of course, Turkish coffee, not to mention the cappuccino, latte or espresso that almost everyone worldwide is familiar with. Indeed, coffee is a drink that many of us cannot do without; in many countries it is drunk with breakfast, as a mid-morning pick you up, and after dinner as well. Coffee is something that is in our lives, whether we drink it black, with milk, hot or cold. As for the history of how the first cup of coffee was created, there is no really reliable source; the most popular one is that a goat herd in Ethiopia noticed that the goats he was tending became very excited after eating beans from a certain plant. These same beans were boiled and turned into a drink called al-qahwa. This drink was drunk by Sufis in Yemen to stay awake for late-night prayers. (1001 Inventions, Muslim Heritage in Our World – Foundation for Science and Technology). Another version of the discovery of coffee relates that a certain Sheikh Omar was exiled from Mocha in Yemen. On the verge of starvation he resorted to chewing some berries from a nearby bush. Finding them very bitter he tried roasting them. They were not much improved by this process, so he then tried boiling them. The resulting liquid gave him energy and helped to keep him alive. The first records of coffee drinking state that in the 15th century coffee was being consumed in Sufi monasteries near Mocha, Yemen. By the 16th century coffee had reached Persia and Turkey, as well as North Africa. The adventure of coffee in Turkey and the Middle East has already been covered in this paper, by another writer, in March of this year. It is for this reason that today we will examine the effect coffee had on Europe, and more particularly, on Britain. There are different accounts of how coffee came from the Middle East to Europe; some state that coffee went from Turkey to Austria, while other accounts relate the story of an individual known as Baba Budan, who is said to have smuggled coffee from Yemen to Mysore. It has been suggested that the beverage spread from here to Italy and the rest of Europe and the Americas. 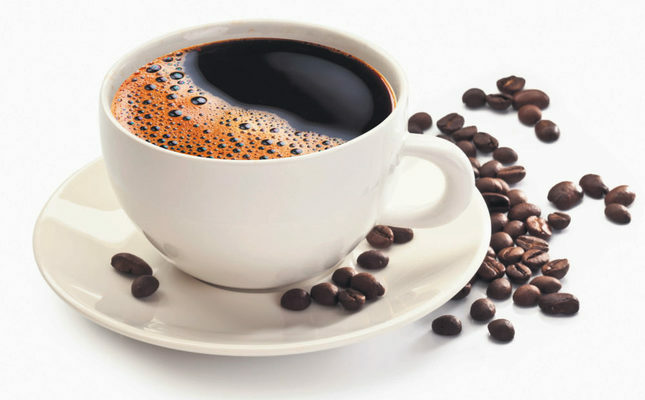 In 1583 German physician, Leonhard Rauwolf described coffee as follows: "A beverage as black as ink, useful against numerous illnesses, particularly those of the stomach." Coffee soon became popular, not as a medicine, but as a refreshing drink. When coffee first appeared in Italy in the 17th century some people called it an "invention of Satan". Indeed, there was so much controversy that the Pope got involved. Pope Clement VIII decided that he should taste this beverage and see what all the fuss was about. He liked it so much that he gave it the papal seal of approval. The first coffee house in Britain was set up in London by a Turk, Pasqua Rosee, in 1650. (1001 Inventions, Muslim Heritage in Our World – Foundation for Science and Technology). Indeed, throughout the 17th century coffee houses sprung up in many parts of the world, including the Ottoman Empire and Europe as well. But these European coffeehouses were not like the establishments that we visit today to get our daily latte or cappuccino. The 17th and 18th century coffeehouses were places where people (generally men) met to drink coffee and discuss the latest news and events. Here the conversation usually revolved around politics and current events, as well as fashion, scandals and the latest gossip. In these coffeehouses philosophy and science were also discussed. Coffeehouses are seen to have played an important role in the Enlightenment. Indeed, the first coffeehouses to be established in Britain, in Oxford, were known as "penny universities". Anyone could enter the coffeehouse if they paid the fee of a penny. Rank and status were not important in coffeehouses, and anyone could sit at a table with another person and engage them in conversation. As a result, lively conversations of a truly democratic nature took place, and an alternative learning institution was developed. It is said that it was for this reason that coffeehouses were viewed with great suspicion in Europe and elsewhere; the lively debates and political discussions that took place in them were seen as a threat. Coffeehouses were perceived as places where revolutionary ideas were discussed and thus were thought to be dangerous breeding grounds of unrest. Coffeehouses were also popular in the Americas, but it was not until the Boston Tea Party when British tea was dumped into the water in protest of taxation without representation that coffee started to eclipse tea as the favorite Yankee drink. Later, the limitations on importing tea during the War of 1812, as it was difficult to bring the tea safely to American ports, led to coffee becoming even more popular. In the UK coffee always had a place in daily life; indeed, in the middle of the 20th century many Italian immigrants opened coffee shops where espresso or cappuccino could be purchased. In the last twenty years these shops have been overtaken by the chain coffee shops, but the little corner coffee shop still exists throughout the country. The great explosion of chain coffee shops in recent years means that people all over the world have become accustomed to picking up coffee, offered in a number of ways. Latte – (caffelatte) – steamed milk and espresso. A popular coffee version, but if you order a "latte" in Italy, you will get a class of milk. Cappuccino – steamed milk and espresso, less milk than a latte, and generally more foam. The cappuccino is said to have been named after the Capuchin monks, as the color of the drink resembled the color of their habits. Caffe Mocha – this is a latte with chocolate added, either with a syrup or cocoa powder. An enchanting combination of hot chocolate and coffee. Espresso – this coffee packs a punch. Made by forcing nearly boiling water through ground coffee the result is thicker than drip coffee and has a higher concentration, meaning that it has more caffeine per volume than other coffees. This is accompanied by a stronger flavor as well. Turkish coffee. Saudi coffee – Made from beans that are lightly roasted with cardamom. The color is a light brown, and is served, like espresso, in small amounts. Turkish coffee – Considered by many to be the king of coffees, this, like espresso, uses finely ground coffee. The coffee is boiled with water and sugar to taste in a pot. The light foam on top is indication of a good cup of coffee, as well as an indication of the skill of the person making the coffee. Both tea and coffee are beverages that influenced world history in a number of ways. So next time you order a skinny latte or a caffe mocha, or a Turkish coffee, think back to the people who discussed the problems of the world and came up with new approaches and new ideas over a cup (or two) of this beverage that pulls you in with the aroma and keeps you coming back with the flavor.